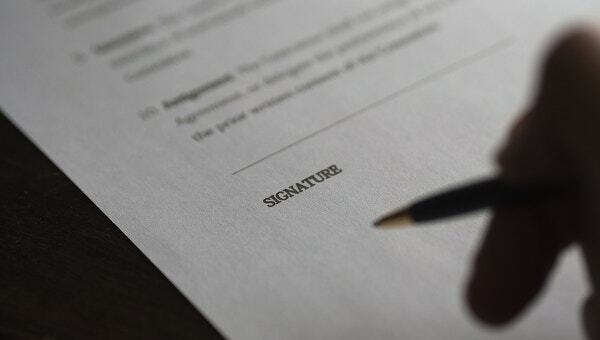 A Consignment agreement samples enables both the consignor and the consignee to a set of terms and conditions that enables a smooth and safe supply of the materials required for a business. It helps in preventing running out of stock of essential materials that are highly important for any manufacturing business. 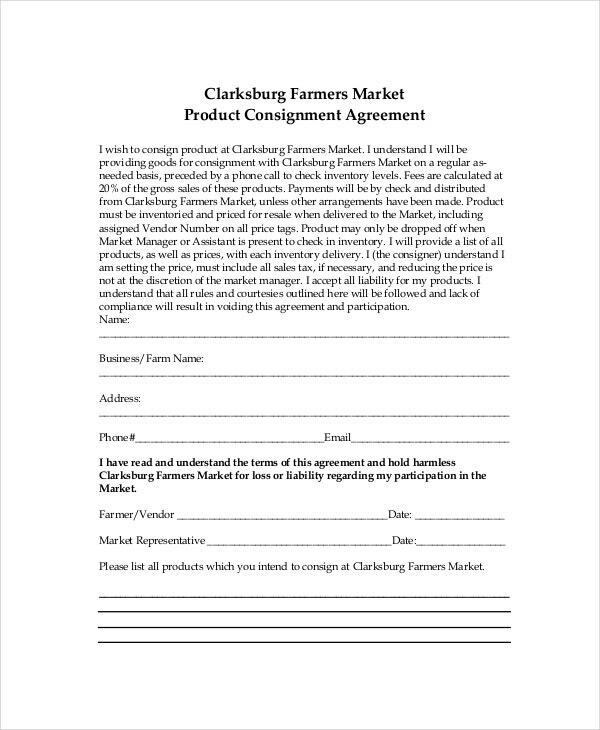 It also enables to frame terms and conditions for supply of goods. It defines the method of procuring and storing materials as well as managing inventory. One can go through Consignment Contract Templates to know more about its varieties. 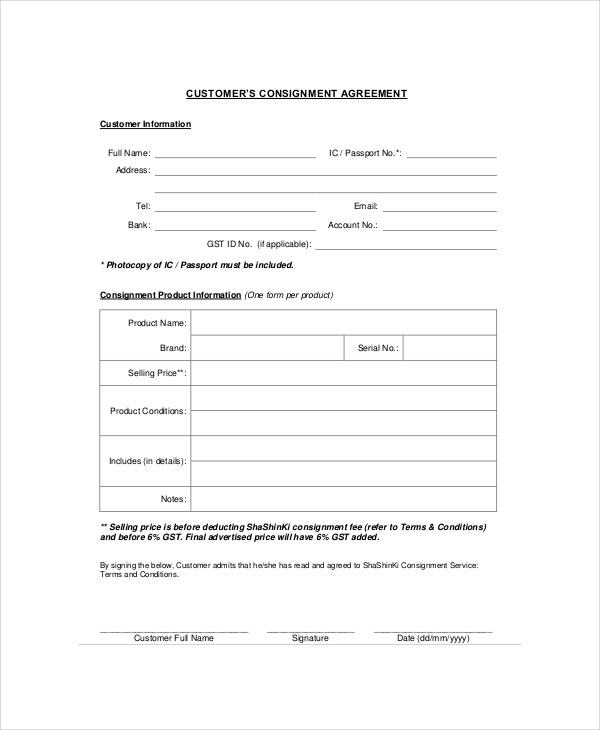 This consignment inventory agreement template presents the corporation name, vendor name, business address, and agreement effective date. 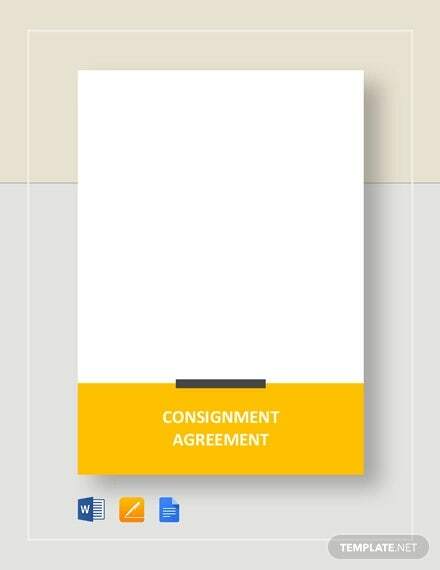 It also elaborately defines the various agreement terms for true consignment, term and termination, and the inventory management fees. 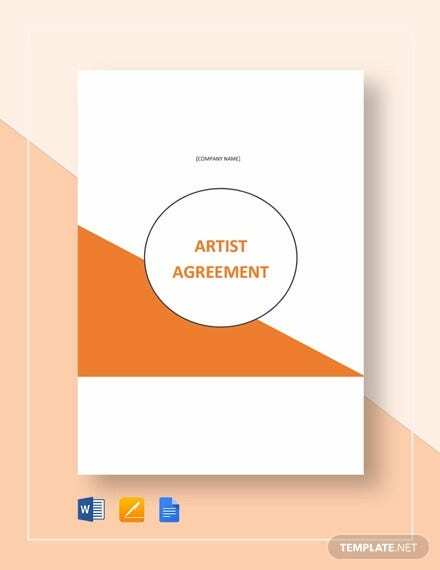 This artist gallery consignment agreement presents the date of the agreement, artist’s name and address, and gallery name. 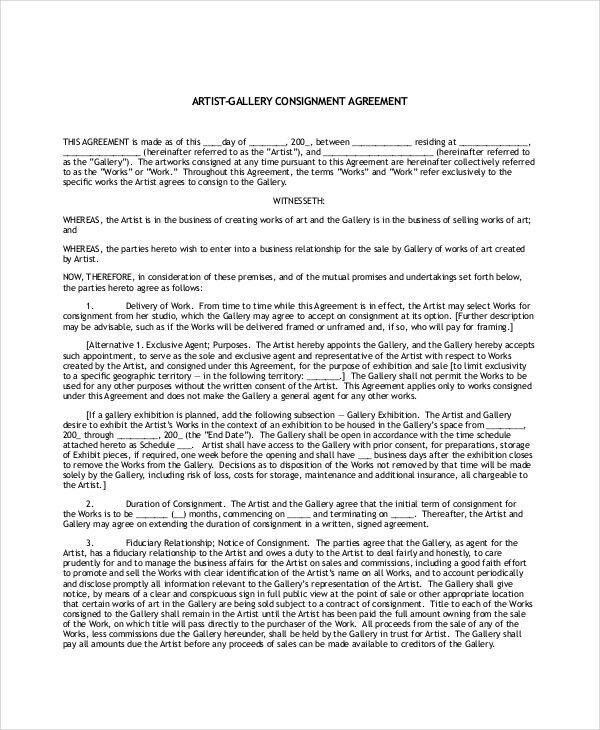 The agreement mentions delivery of various consignments for gallery exhibition and the deadline for completion of works. 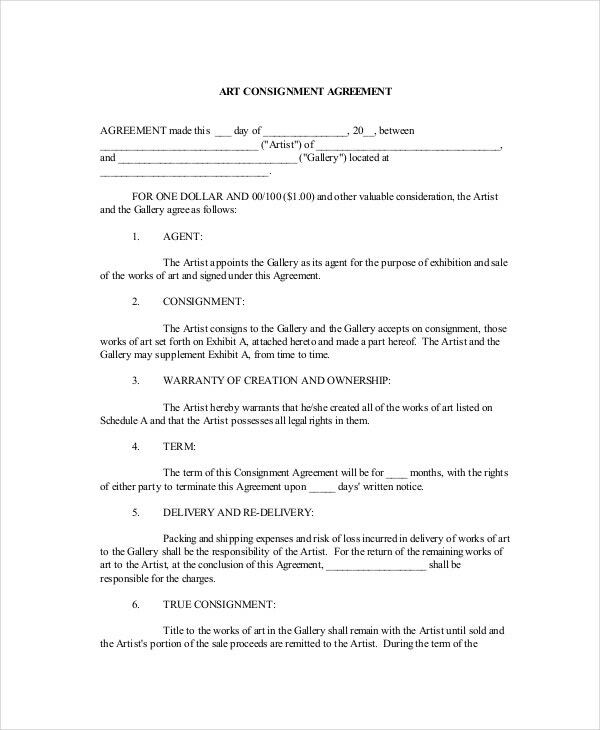 This art consignment agreement sample presents the date of the agreement, artist’s name and address, gallery name and address. 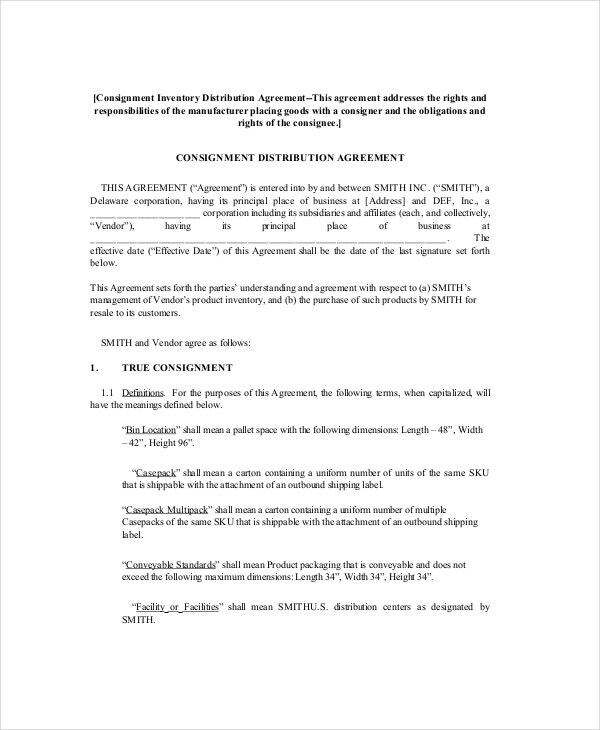 The agreement terms like agent, consignment, warranty of creation and ownership, duration of the agreement, delivery and re-delivery are mentioned. 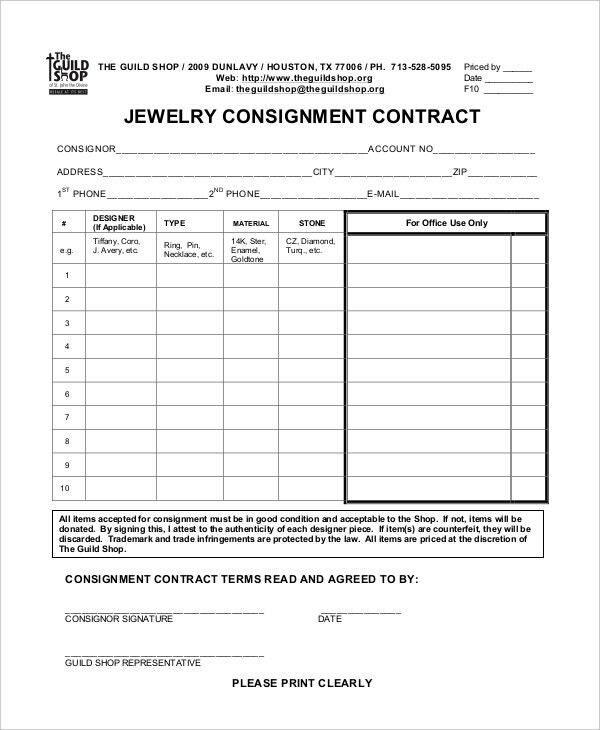 This jewelry consignment agreement template presents the consignor’s name, account number, address, phone number, and email id. It also presents the details of jewelry like the designer, type, material, and stone. It obtains the signatures of the consignor and the guild shop representative. 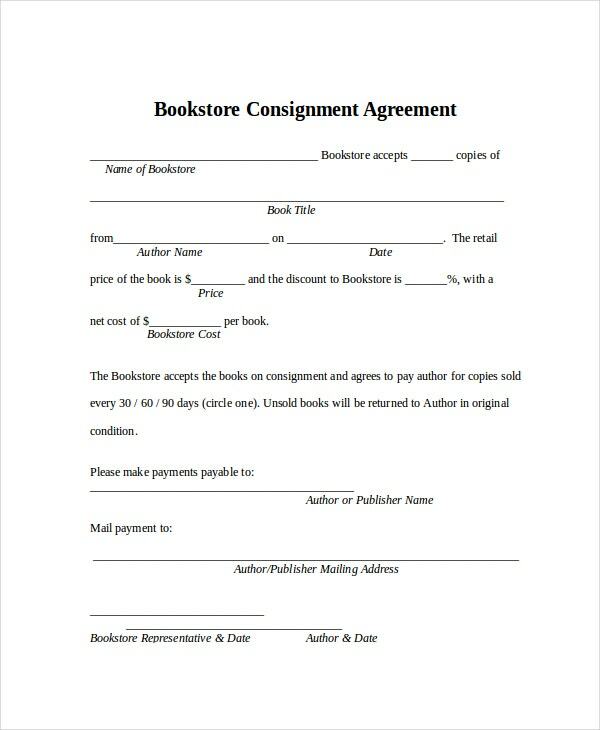 This bookstore consignment agreement presents the bookstore name, the number of copies, book title, author name, agreement date, the price of the book, discount percentage, delivery cycle, and payment details. It also obtains the signatures of the author and that of the bookstore representative. 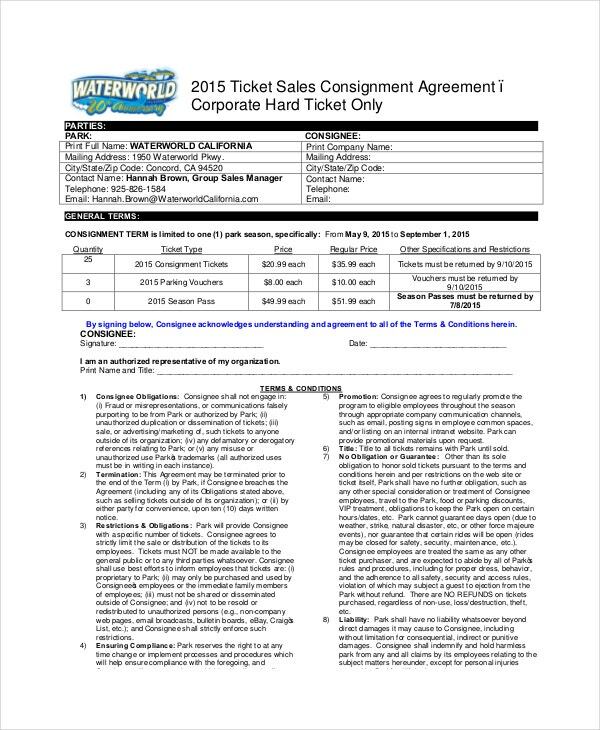 What to include in a Consignment Agreement? 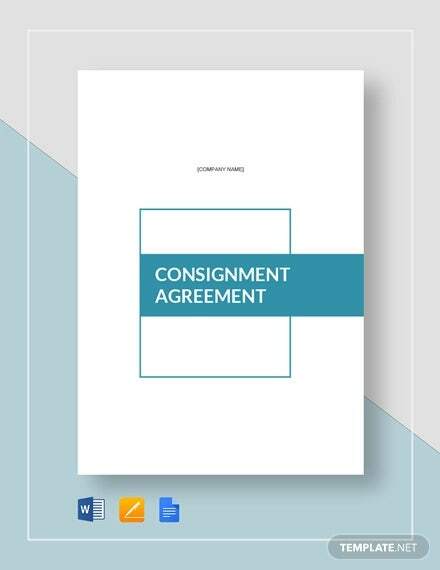 The Consignment Agreement should contain the names of the consignee, consignor, and the effective date of consignment agreement. The consignor can be a vendor, a book publisher, or a jewelry designer as well. It should define various terms with regards to consignment like product packaging, storing materials in bin locations, and managing inventory through purchase orders. It should also contain terms with regards to termination of the agreement and the fee details for managing inventory. It also includes delivery terms like the cycle of supply of items and safe delivery as well as unloading of materials. It mentions terms regarding maintaining items at specific locations and pricing terms. 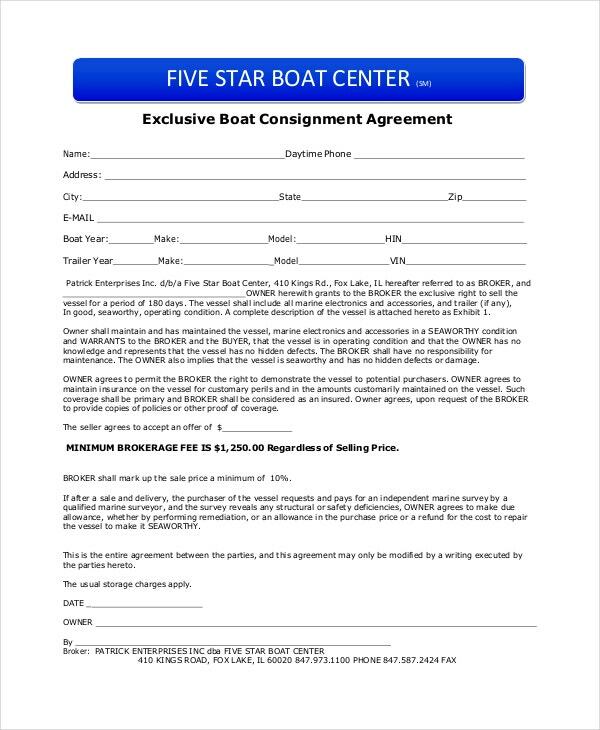 What are the Benefits of the Consignment Agreements? They enable industries to procure materials that are essential for the manufacture of goods on time. They also enable the consignee to pay the consignor after selling the goods. They enable goods to reach industries and customers quickly. They enable businesses to manage consignment stock position easily. They help in safeguarding against volatile inventory costs. They enable to store and deliver goods to various locations easily. They protect the consignee from receiving damaged goods and ensure quality delivery of goods. They help industries by relieving the burden of hoarding of goods. 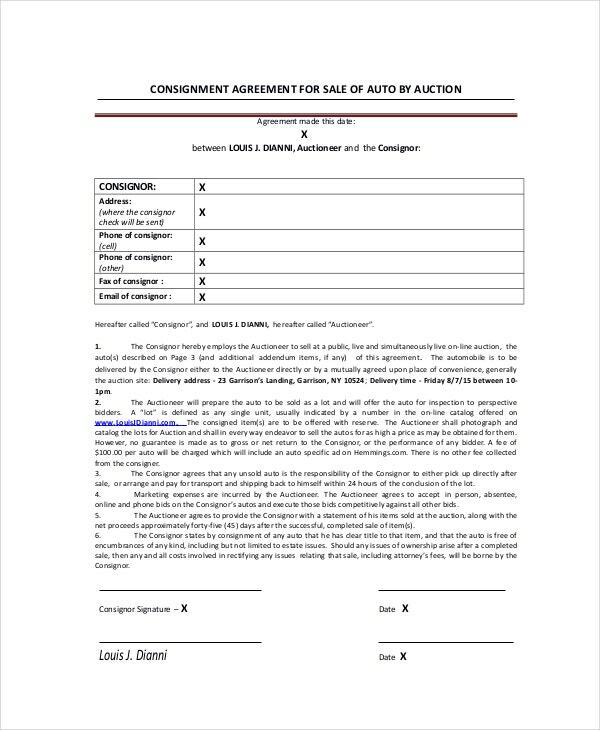 There are plenty of varieties of Consignment Agreement Templates available and one can download them easily from the internet. They come in printer friendly format and can be utilized for various types of businesses. 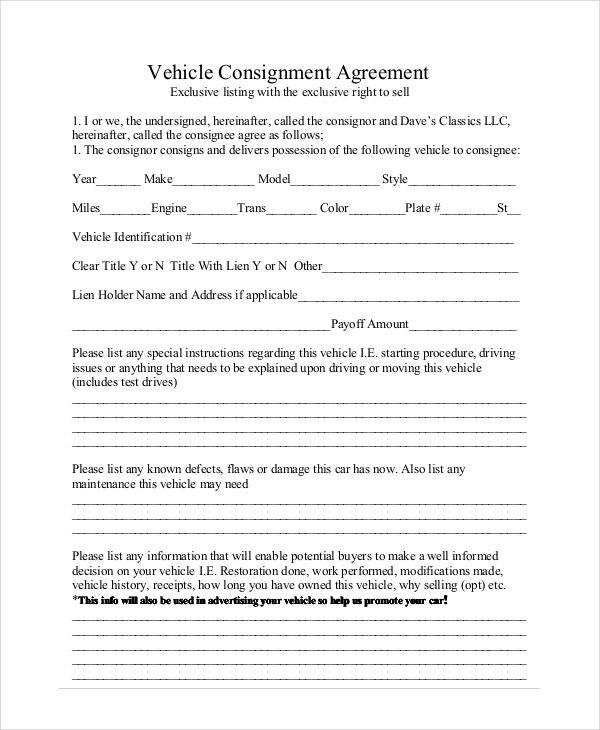 Consignment agreement templates are extensively used by enormous industries and are highly essential contract documents.